The ability to listen to customers in order to always ensure their complete satisfaction is at the core of our identity and today translates into a team of experts, who have over thirty years experience in the field and are in direct contact with the constant natural evolution of the company and its needs. Do you ship and deliver goods throughout the country? We directly and indirectly serve the whole country, including its islands. Delivery times are quick and go from 7 to 14 days. In the event of urgencies, providing material is available, we can reduce delivery times. Products in the Green Solutions line, however, take 30 / 40 working days. Packaging is designed to protect goods and facilitate storage and shipping. Should the client require non-standard packaging, it must be stated in the order phase. How long is availability of spare parts guaranteed for from the moment of purchase? We guarantee availability of all structural spare parts for 10 years, with quick delivery, starting from 48 hours from order confirmation. The availability of spare parts, functionally identical to those they replace, for any electrical/electronic components in the Green Solutions line is guaranteed for 2 years. These components must be replaced by Giulio Barbieri S.r.l., or by qualified technicians trained by the aforementioned company. Is support provided for product assembly? Support is provided in the form of print and/or multimedia manuals. In the event that support from our technicians is strictly necessary, our sales office will calculate additional expenses. What are the general warranty conditions for Giulio Barbieri S.r.l. products? Products have a legal warranty of up to 5 years. 5-year warranty on defects in materials for aluminium structural components. 5-year warranty on oxidation protection treatments for aluminium and steel components. 2-year warranty on electrical and electronic components in the GREEN SOLUTIONS line. For further details please consult the relevant clauses of the purchase agreement signed at the moment of purchase. The warranty shall be rendered null and void should products be repaired by the customer using non-original spare parts or should they be used improperly and not as intended. Are Giulio Barbieri original spare parts under warranty? All original spare parts have a 5-year warranty. Electrical and electronic components in the Green Solution line have a 2-year warranty however. Will defective material be repaired or replaced for free? 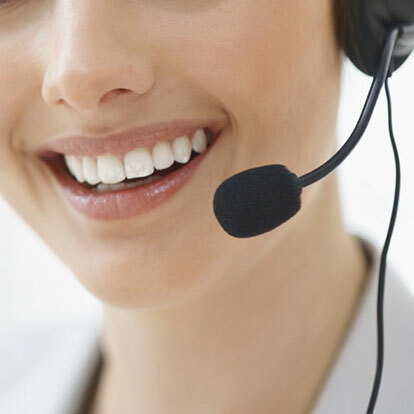 We offer close customer support providing qualified, professional and prompt post-sales service, which involves repairing or replacing any components deemed defective. Goods shall be recalled in the event that Giulio Barbieri S.r.l. deems it necessary. Goods under question shall be replaced by returning them to Giulio Barbieri S.r.l. company headquarters free of expense. The warranty shall be rendered null and void should the parts returned prove to have already been repaired or tampered with. The repair of defective parts by the customer shall not be recognised by Giulio Barbieri S.r.l..
What kind of certification do the structures have? Do the products require maintenance? None of the products in the Outdoor Solutions line require ordinary maintenance as all the profiles used are aluminium, a material which does not rust over time. All steel components are cataphoresis and polyester powder coated, ensuring rust protection for at least 5 years. All products in the Green Solutions line, however, require periodical functional checks, like any electrical/electronic device. We recommend a frequency of once every six months. Do you provide extraordinary maintenance on products intended for hire? We do not provide extraordinary maintenance, except for marquees intended for hire, for which the sandblasting and repainting of profiles and the repair of canopies is provided upon request. Are canopy repairs covered under warranty? We cannot provide standard timings as it depends on the kind of procedure to be carried out. Are building permits needed in order to install Giulio Barbieri S.r.l. products? For temporary structures, like free-standing shade canopies, marquees and small folding garages, local council authorisation is normally not required. In the event of permanent structures, such as lean-to verandas and canopies, free-standing carports, large retractable tunnels and clear span tents, and for all products in the Green Solutions line, either advance notice or a DIA (Work Commencement Declaration) is usually sufficient. Nevertheless we recommend checking any local planning regulations at town planning offices directly or by inquiring at an architect's firm.